This year the conference will be hosted by the Louisiana State University from May 31 – June 3, 2015. Greenlee will perform “Substitutions,” a new work inspired by the Chinese Lithophone within RISD Museum’s Asian collection. 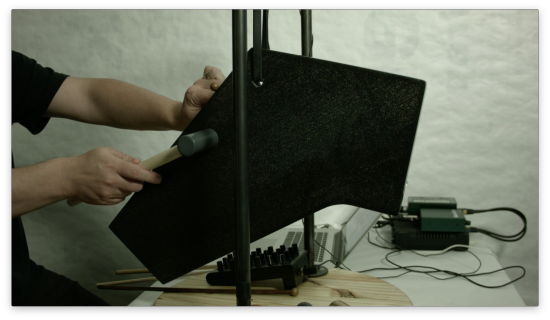 In the performance, Greenlee utilizes a stone chime as an interface for custom software that produces sustained, drifting tones resulting from percussive actions. Additionally, this software is utilized to transform the sonic characteristics of the stone, modifying its timbre and perceived material quality.